W2MEDIA.CA | Listen to today’s broadcast of Media Mornings on Vancouver Co-op Radio 100.5 fm: celebrating LGBTQ youth. Plus urban farming and Vancouver Schools. 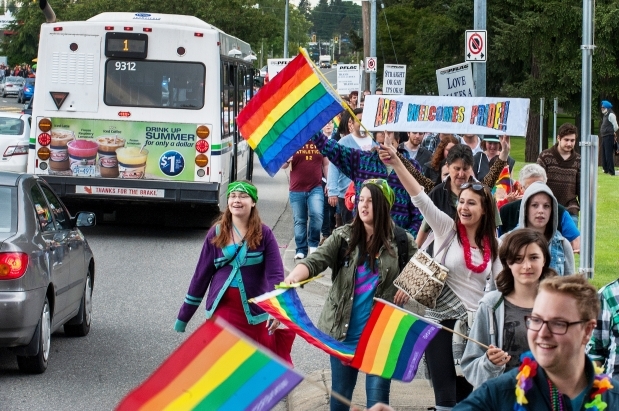 John Kuipers – Coordinator of the Fraser Valley Youth Society talks about why it was time for a “Pride Parade” in Abbotsford. Ilana Labow of Fresh Roots discusses food sovereignty and urban farming at Vancouver Schools. The Vancouver School Board’s adult education graduation took place on Friday, but many of the program’s teaching staff may not be back in September. The Tyee’s Katie Hyslop reports that for the first time VSB adult education faculty have been issued layoff notices. Close to 25 per cent of the district’s adult education faculty, including everyone hired in the last seven years – have received the notices. At least three people were wounded yesterday by a rocket strike on the southern part of the Lebanese capital Beirut. Two rockets hit a district controlled by the Hezbollah organisation, according the the BBC news.